The true artist works rather in great gusts of effort, and in smaller gusts of apparent lassitude. He is not laying about "waiting for some inspiration." He is in the travail of the dreamer entering into expression. 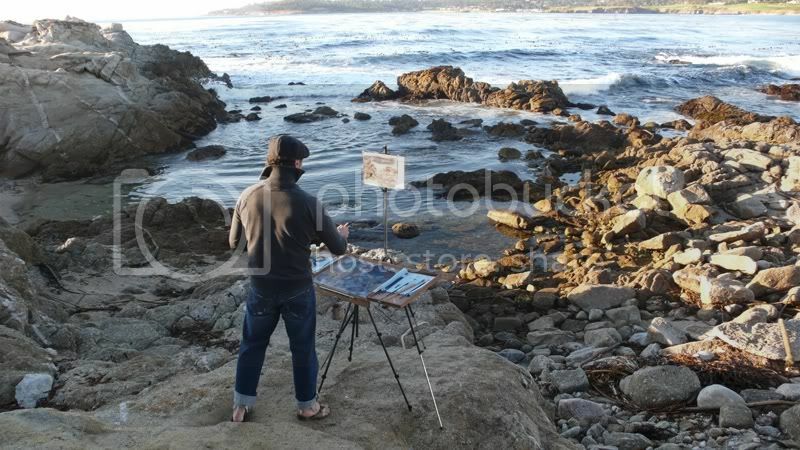 Now when you see the artist sitting thoughtfully before his blank canvas, don't call him lazy. Realize what huge gulfs exist between a thing of dreams and the exact science of mathematics. Know that the dream is as necessary to the birth of any idea as mathematics is to the exactness of its consummation. An artist must neither be too dreamy, nor too mathematical. He must dream and he must paint. Reverie is a gift which knows the plenitude of the soul. Well that answers my question! I am obviously too dreamy!! !